"Gilbert & Gaillard" has rated the wine "Arnaldo-Caprai Montefalco Rosso, Umbria, Italy" from the vintage 2014 on 30.06.2016 with 86 of 100 points.
" Bright ruby, crimson tints. Expressive nose intermixing sour cherry, redcurrant and meadow flowers. Svelte, light, invigorating palate with lovely focused, precise fruit overtones and a firm, herbal framework. Enjoyable and accessible. Leave to mature a little. " "Gilbert & Gaillard" has rated the wine "Arnaldo-Caprai Montefalco Rosso, Umbria, Italy" from the vintage 2013 on 01.06.2016 with 85 of 100 points.
" Garnet tinged with ruby. Pleasant nose of cherry, strawberry and fine spice. Honest, easy-drinking fruit combines with solid, refreshing exuberance displaying a hint of firmness on the finish. An enjoyable wine for family meals. " "Gilbert & Gaillard" has rated the wine "Arnaldo-Caprai Montefalco Rosso, Umbria, Italy" from the vintage 2012 on 18.06.2014 with 91 of 100 points.
" Ruby-hued. Refined, harmonious nose revealing fragrances of blackberry, juniper berries, liquorice and spice. The palate is seductively crunchy and fresh with a tightly-wound, fine and silky tannin framework. Power and mellowness balance the whole. " "Gilbert & Gaillard" has rated the wine "Arnaldo-Caprai Montefalco Rosso, Umbria, Italy" from the vintage 2011 on 02.07.2013 with 86 of 100 points.
" Ruby. Expressive nose opening up to focused, concentrated perfumes of red fruits and spices with a touch of earth and liquorice. Fleshy, warm and tannic palate with a clearly-delineated structure. Oak note on the finish. Serve with red meats. " "Wine Spectator" has rated the wine "Arnaldo-Caprai Montefalco Rosso, Umbria, Italy" from the vintage 2014 on 30.04.2017 with 88 of 100 points. "Wine Spectator" has rated the wine "Arnaldo-Caprai Montefalco Rosso, Umbria, Italy" from the vintage 2012 on 28.02.2016 with 89 of 100 points. "Wine Enthusiast" has rated the wine "Arnaldo-Caprai Montefalco Rosso, Umbria, Italy" from the vintage 2012 on 02.01.2016 with 89 of 100 points. 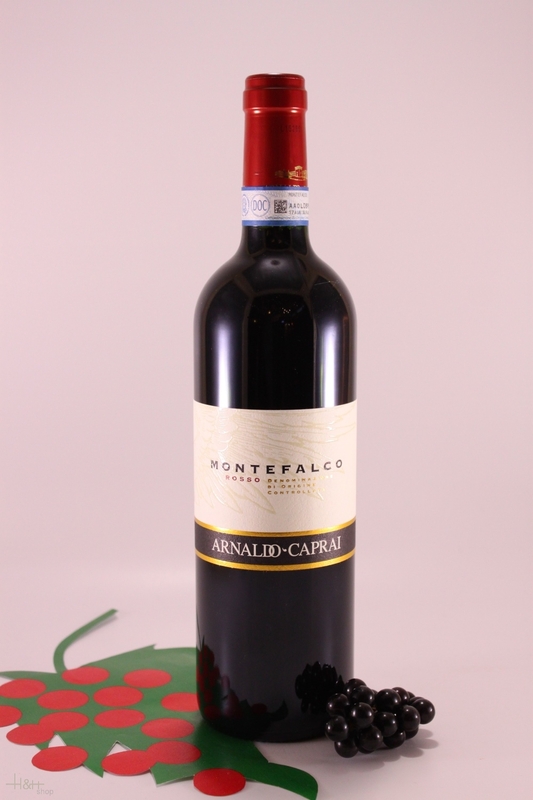 "Wine & Spirits Magazine" has rated the wine "Arnaldo-Caprai Montefalco Rosso, Umbria, Italy" from the vintage 2010 on 01.04.2014 with 88 of 100 points. "Wine Enthusiast" has rated the wine "Arnaldo-Caprai Montefalco Rosso, Umbria, Italy" from the vintage 2011 on 02.01.2014 with 90 of 100 points. "Wine & Spirits Magazine" has rated the wine "Arnaldo-Caprai Montefalco Rosso, Umbria, Italy" from the vintage 2007 on 01.04.2012 with 91 of 100 points. "Wine Enthusiast" has rated the wine "Arnaldo-Caprai Montefalco Rosso, Umbria, Italy" from the vintage 2008 on 10.01.2012 with 90 of 100 points. "Wine Enthusiast" has rated the wine "Arnaldo-Caprai Montefalco Rosso, Umbria, Italy" from the vintage 2010 on 10.01.2012 with 90 of 100 points. "Vinous Antonio Galloni" has rated the wine "Arnaldo-Caprai Montefalco Rosso, Umbria, Italy" from the vintage 2008 on 01.06.2011 with 90 of 100 points. "Vinous Antonio Galloni" has rated the wine "Arnaldo-Caprai Montefalco Rosso, Umbria, Italy" from the vintage 2009 on 01.06.2011 with 90 of 100 points. "Vinous Antonio Galloni" has rated the wine "Arnaldo-Caprai Montefalco Rosso, Umbria, Italy" from the vintage 2007 on 01.06.2010 with 90 of 100 points. 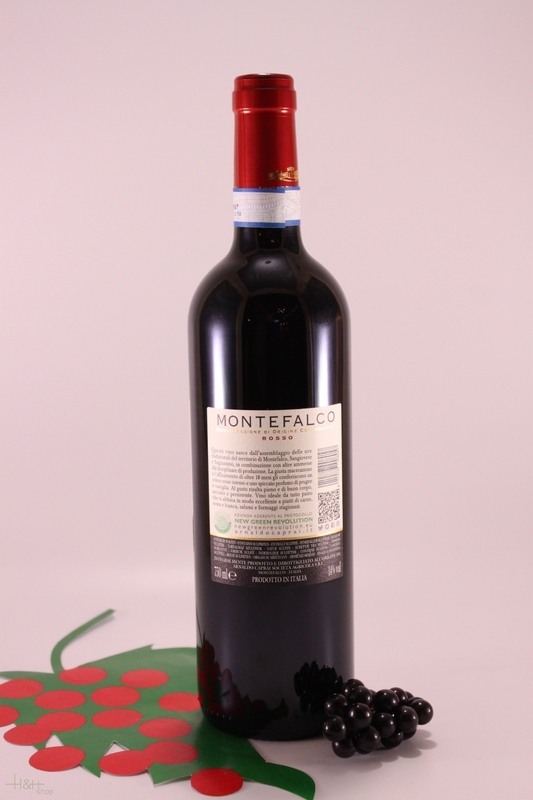 "Vinous Antonio Galloni" has rated the wine "Arnaldo-Caprai Montefalco Rosso, Umbria, Italy" from the vintage 2005 on 01.07.2009 with 89 of 100 points. "Wine Spectator" has rated the wine "Arnaldo-Caprai Montefalco Rosso, Umbria, Italy" from the vintage 2004 on 31.07.2007 with 84 of 100 points. "Wine Spectator" has rated the wine "Arnaldo-Caprai Montefalco Rosso, Umbria, Italy" from the vintage 2003 on 30.06.2006 with 85 of 100 points. "Wine Enthusiast" has rated the wine "Arnaldo-Caprai Montefalco Rosso, Umbria, Italy" from the vintage 2003 on 09.01.2005 with 85 of 100 points. "Wine Spectator" has rated the wine "Arnaldo-Caprai Montefalco Rosso, Umbria, Italy" from the vintage 2002 on 15.12.2004 with 85 of 100 points.